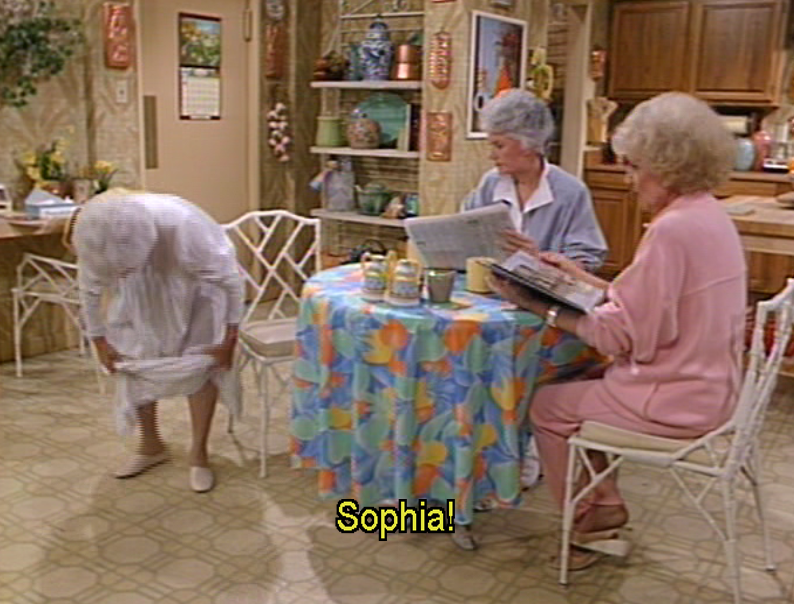 Previously on the Golden Girls…..
You are receiving a call from an animal at ….a farm in Minnesota…. What can happen to animals in an instant, especially when they live half across the country? How can we really tell what they are feeling? Especially if they are a nice animal, and everyone says so. I was first alerted about this story from Dorothy Zbornak, who at first told me a tale that seemed right out of a sitcom. 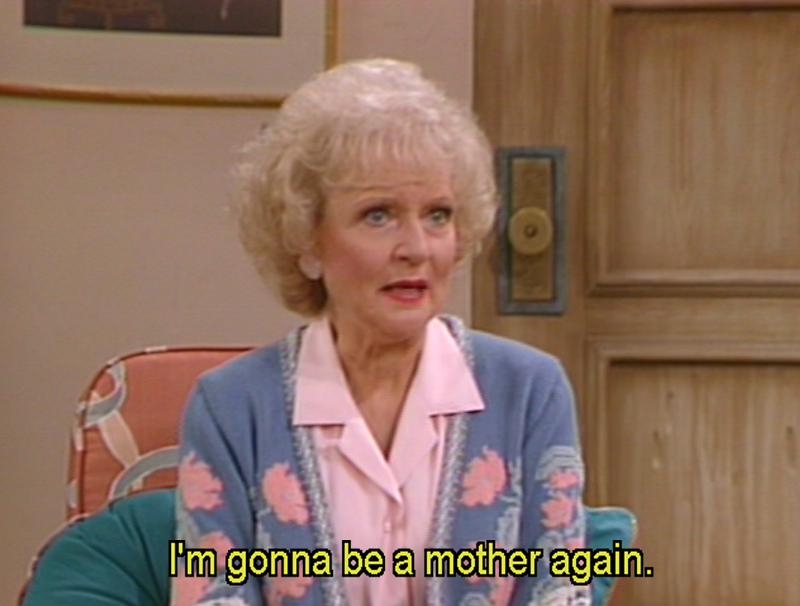 Her roommate, Rose Nyland, got word that an uncle she barely knew from Minnesota, had left her in charge of his baby. Why would this uncle leave his child, his most prized possession, to a lady he barely knew? 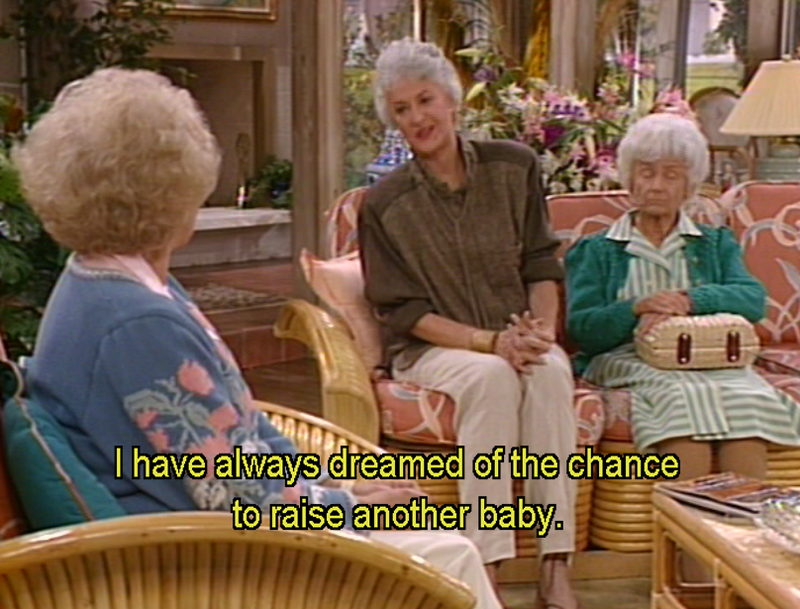 And that of an elderly woman living in Miami? I was intrigued. Did the uncle really die? Did he have a baby? Was there really a baby? How were babies made? I searched the phone records, and there so cell towers pinged between Miami and Minnesota. Now, I know there were no cell phone towers then, but I still had my doubts. I decided to look further. Remember, Rose’s family were Viking people. They were a close-knit community with lots of pride and rules for their children: they weren’t allowed to use modern technology, but they could create their own herring circuses and pageants in the town. Was this uncle just rebelling against his bizarre upbringing? Can I explore this by making large assumptions about a culture that is not mine? Then….something happened that I couldn’t believe. I tracked down Asia McClain, who insisted on something that no one before had brought up. The “baby” was a prized pig beloved by Rose’s uncle. And I was told that whoever raised baby would get a 100K after he died. The stakes are raised. Reluctantly, the ladies decided to keep the pig since he was slated to die soon. Were they so desperate for the inheritance money, so frustrated, that they snapped? 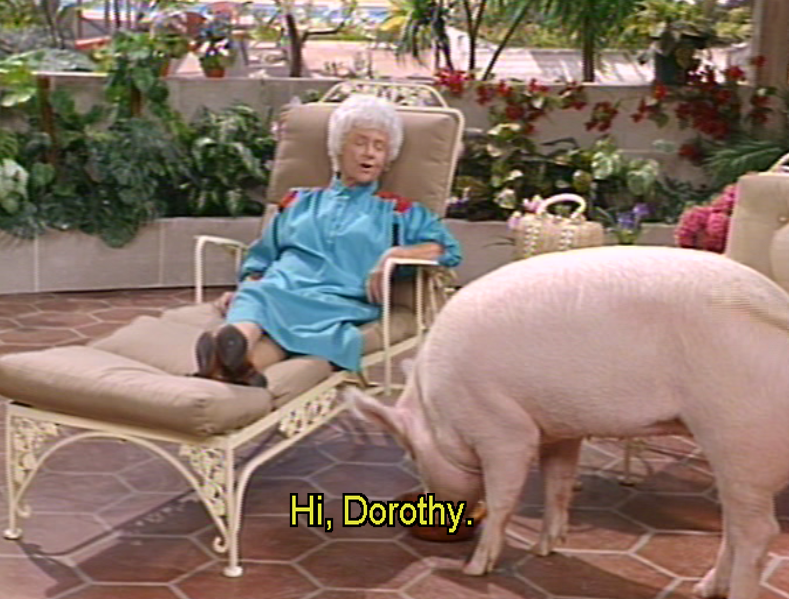 Most people would say that Sophia Petrillo wanted the pig out of the picture, She was impatient, and weird. She testified that she lost her glasses, and her lack of eyesight made her crazy. In the middle of the night, she thought the kitchen was the bathroom. Can we really trust something like that? Rose, however, cared too much for the pig’s feelings and convinced that it was homesick, sent it back to a farm in Minnesota, when, a day later, he died. His body was found buried in Leakin Park. 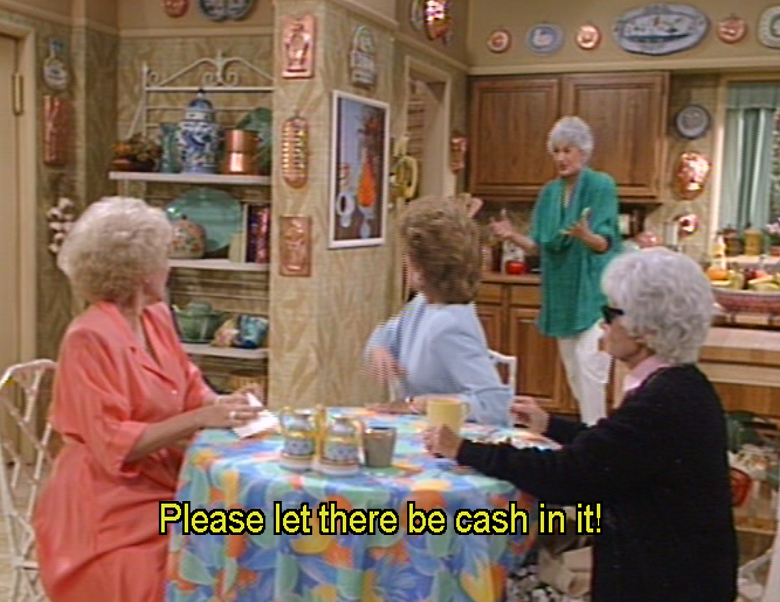 Meanwhile, court records show that Blanche went out to buy a Mercedes before the pig was even dead, expecting to have the money. This is what was used against her in court. That, and even when the bank came to repossess the car, she convinced the girls to ride in it even though it was being towed. That seems like a lazy ending for the people who wrote this episode. Unfortunately, Christina Guitierez died two years ago. If I could go dig up her body from her grave and force her to talk about the writing process, I would. And now we’ve come to the end. What do I think? Is a pig inheritance a hack idea for a sitcom plot? I want to believe it. But I can’t say for sure. 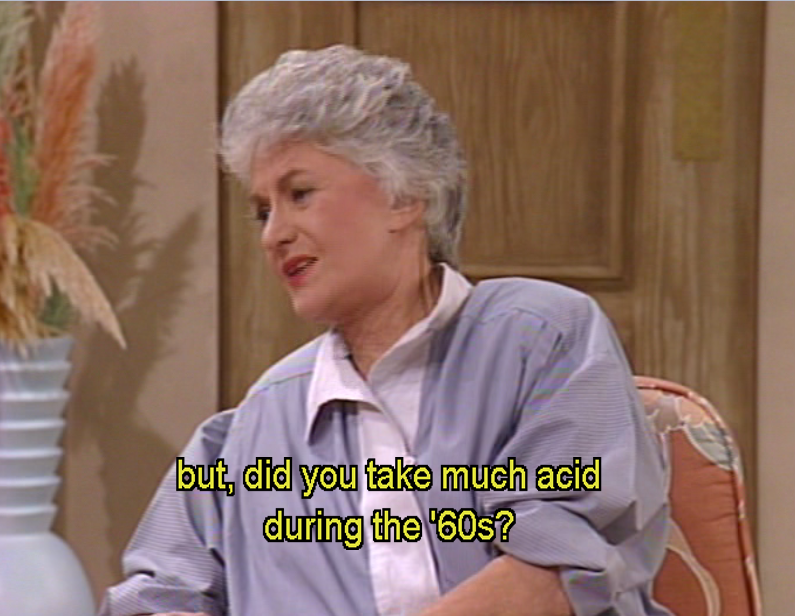 If I had been in that studio audience. I would have laughed at the time. Yes, it’s so wonderful that 1/4 Jew Jay Baruchel has “perfected” the “dorky Jewish twenty-something”. How about some of this actors play what they are, Jews, even half the time Baruchel has? Actors of fully Jewish background: -Logan Lerman, Natalie Portman, Joseph Gordon-Levitt, Mila Kunis, Bar Refaeli, James Wolk, Jennifer Jason Leigh, Julian Morris, Adam Brody, Esti Ginzburg, Kat Dennings, Gabriel Macht, Erin Heatherton, Odeya Rush, Anton Yelchin, Paul Rudd, Scott Mechlowicz, Lisa Kudrow, Lizzy Caplan, Emmanuelle Chriqui, Gal Gadot, Debra Messing, Robert Kazinsky, Melanie Laurent, Shiri Appleby, Justin Bartha, Sarah Michelle Gellar, Margarita Levieva, Elizabeth Berkley, Halston Sage, Seth Gabel, Skylar Astin, Mia Kirshner, Alden Ehrenreich, Eric Balfour, Jason Isaacs, Jon Bernthal.